Chopin’s brilliant Waltz in E minor is justly popular with pianists entering the advanced level. This From the Ground Up edition helps students to lay a solid musical and technical foundation for learning the piece efficiently and quickly, with particular attention given to using rhythmic practice to solve technical challenges. 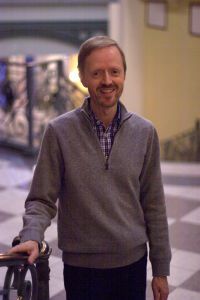 Ken Johansen is a pianist, teacher, and writer based in Baltimore, where he teaches at the Peabody Conservatory. His most recent projects include the iPad sight-reading app Read Ahead, and the series From the Ground Up for the Online Academy.